Summer meanders through hot days and warm windless nights. A new visitor appears against the screen in the bathroom. 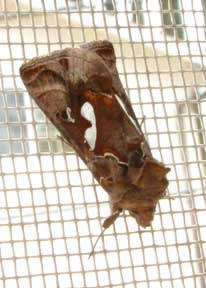 It is a chocolate looper, identifiable by its rich brown color and the distinctive white spot on its wings. 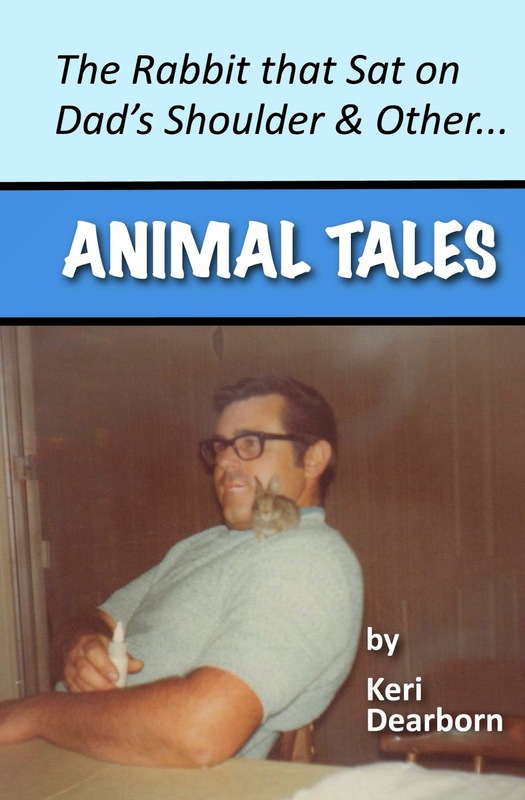 The book claims it looks like a “man’s slipper;” a perfect example of how one person’s perception can become attached to a creature for decades. It doesn’t look like a “man’s slipper” to me. Who wears slippers? A native moth, the chocolate looper should have been outside feeding from one of our native plants. We found two and released both back into the night. The baby birds have all hatched and left their nests, but there are still new babies appearing. 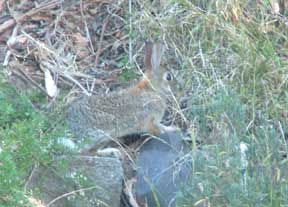 Sitting in the morning sunshine, someone new has appeared in the garden. Can you see it in this picture? 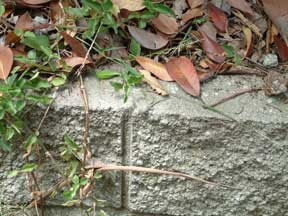 Look closely right in the center of the picture at the top edge of the cement bricks, just to the right of the seam. This baby is only about the size of your little finger. It’s a young Western fence lizard. We’ve had two pairs of adult fence lizards this year. 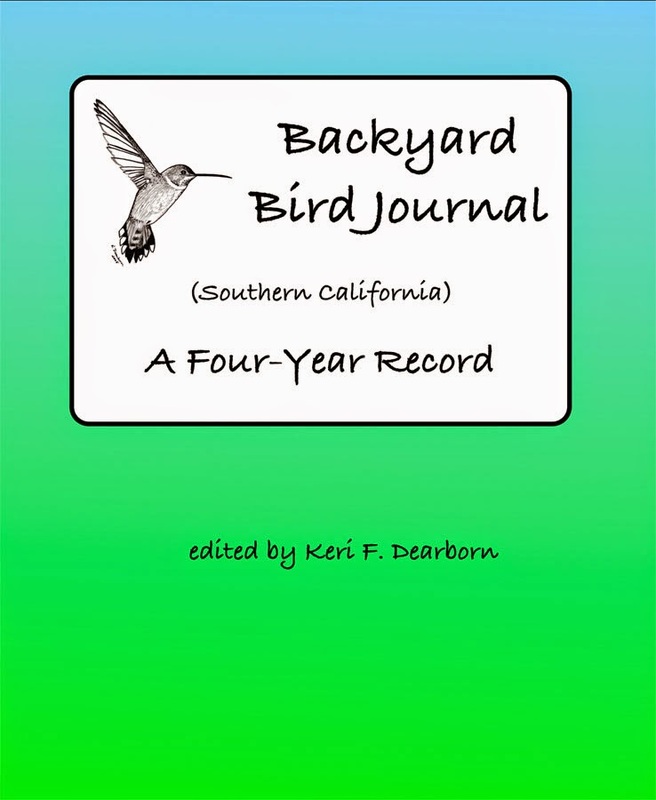 The pair living closest to the house appears to have been successful in producing at least one youngster. 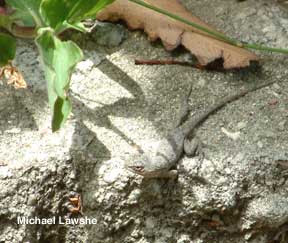 Western fence lizards are a boon to the garden. Find out why they are Superheros. We’ll be watching for this little guy as he grows up. As evening creeps across the hillsides and the freeway traffic drones, a desert cottontail wriggles under the fence and feeds on the grass that I was thinking about pulling. I’d rather watch him eat it. As the evening sky darkens, two big brown bats swoop and circle through the streetlight glow, snacking on a variety of insects. Bat Video. Bats consume mosquitoes and moths and other insects all night long. Perhaps that’s why the chocolate loopers took refuge in the house. Heinrich is one of my favorite authors. He combines the scientific insight of a biology professor, the lyric wordsmithing of a poet and the curiosity of child with the artful unraveling of complex concepts that is the gift of a true teacher. In addition, Heinrich’s books stand out for me because of his passion for fieldwork. He wades through the muck to get close to the nesting geese. He clutches a cup of hot coffee while observing on a frosty morning. He is the one who is struck by a defensive gander while patiently trying to establish a relationship with several pairs of wild Canada geese. Less scientific than previous works, like Winter World, The Geese of Beaver Bog is Heinrich’s very personal saga of a Canada goose named “Peep.” This female Canada goose was raised by Heinrich and his family and then returned to the wild. Could a gosling imprinted on humans lead a normal life in the wild? Would it remember its human family years later? Heinrich chronicles his life with Peep and in the process reveals some myths about Canada geese. Do they mate for life? Do they build their nests in communal groups? Do male geese dominate their female partners? You will count the days along with Heinrich waiting for the eggs to hatch and hurry through the pages to find the geese when they disappear. You’ll hang on the successes and failures, and try to listen in as the parents communicate with the hatchlings still inside their eggs. If you are interested in the natural world and understanding creatures different from yourself, spend some quality reading time with Bernd Heinrich and discover the complex and fascinating world of Beaver Bog. You’ll never look at a Canada goose the same way again. It's 100˚F in the shade, but still cooler than yesterday. While I'm happier in the house, the Western fence lizards and the alligator lizards are frolicking. Why is my personal Liberty important to the lizards in my backyard? It means with my voice and my vote, I can support conservation issues and environmental protection. As more and more of the world is degraded by human activity, it becomes increasingly vital that we stand up and speak out to preserve our democracy. If we do not, if our government is owned by the highest bidder, we will not have the ability to stop those who would threaten the entire planet for temporary profit.